Home » Homepage » Please get your facts straight! For anyone looking at the current misinformation (deliberate or not) being spread around by some of the media, mostly in the US, but progressively abroad, the outlook is grim. The media are incredibly powerful at creating and destroying giants. Deliberately spreading false claims and erroneous statistics is more than enough to get people scared. It’s a powerful technique, it has been used by journalists since the dawn of time, and it’ll continue to be used, as long as there is a purpose: spinning the facts to make them fit our purpose. And what might that purpose be? As far as I can tell, just a simple one: selling articles. The current style of what has been brought in the news — and from serious sources like Time, which in turn have spawned a whole new range of misleading articles on “the end of Second Life” or, more correctly, how Second Life is actually empty. Apparently Ren Reynolds on Terra Nova was right. The major issue, however, is that serious, honest journalists are mostly clueless on a single aspect of Second Life: they have no background on metrics, and so their experiences come simply from observation and anecdotal evidence. But… can we really blame them? Web metrics don’t apply to Second Life — or do they? Linden Lab nicely gave us traffic (formerly known as dwell). As mentioned before, it is calculated using an insanely complex formula. It was designed to be as little “gamed” as possible to allow Linden Lab to pay incentives to people creating nice buildings that attracted the attention of other residents. Yes, now you know why we have camping chairs and dance pads. They used to be even more widespread when the land owners got a nice weekly bonus in L$; still, since traffic will make your ads on the Search box be shown further up. So traffic can be roughly compared to Google PageRank: something that measures “popularity” but can be easily “gamed”. It isn’t a valid metric to determine who was indeed online doing something. In effect, if you’d add all “traffic points” in Second Life, what exactly would you find out? How can you truthfully compare two sites, one that has 40 people on camping chairs all the time (who are not even logged in with that alt but simply have that copy of SL minimised), and another that throws live events several hours per day and is crammed full with people during these events? Which one is truly “more popular”? Still, a lot of self-proclaimed experts in Second Life routinely use that same metric, and the reason is simple: it’s the only one that we have in-world, provided by a relatively neutral party (Linden Lab has really no interest in promoting a virtual presence over another), it’s easy to look up (all parcels show publicly their traffic), and although its calculation is totally obfuscating, people don’t really care: get more avatars on your land, and traffic goes up. Like “square metres of land” are an abstraction of how much CPU, hard disk space, and bandwidth you’re allowed to consume, “traffic” becomes a quick-and-dirty metric to keep marketeers and business owners happy. What is the major issue with “traffic” then? Well, similar to Google PageRank, it doesn’t really measure anything worthwhile except a very relative and subjective sense of popularity. If you’d made a colour-coded map of Second Life, with, say, different colour shades, each representing a range of traffic (ie. deep scarlet, 4000+; blood red, 3000-4000; brick red, 1000-2000; warm orange, 500-1000; mustard, 100-500; lemon, 0-100), and looked it from above, you’d have a rough way to figure out where people are being attracted to. It would make for a nice global picture. Some Firefox extensions do the same for PageRank. Even Google is honest enough not to use PageRank as “real” metrics, and perhaps it’s not surprising that Google Analytics does not show PageRank (but more established metrics) as part of its statistics. Traffic, well, is “out” as a candidate for measuring everything worthwhile. Before traffic became popular, people simply placed cute-looking visitor counters on their parcels. This naturally was even more easily “gamed”, you just needed to go in and out of your parcel to add another “visitor”. Just like “visitors” and “page hits” are worthless marketing metrics on web sites (although it allows system administrators to tweak their servers, since several page hits will obviously make a web site run slower, no matter if they’re “genuine” or not), this method quickly went out of fashion. It still allows a certain degree of gathering statistics: namely, you can track paths across your buildings. For companies (RL or SL) developing a virtual presence in SL, this means actually understanding how people are visiting your place, where they go first, what information do they request, what items do they buy, where do they go next. This way you can also get a good grasp on what is working with your build and what is not; if people setting up vendors on your mall/club complain that nobody buys anything, a quick look at the paths residents take through your parcel might give you an answer. Things might be just incorrectly set up. Also, “fake” visitors (ie. the ones just logging in, jumping to your parcel, and going out again) can be found out quickly by looking at ultra-short paths. These can also help you figure out if your texture density is way too high and making people simply crash once they come out of the teleport hub (you might have noticed that several intelligent venues — both shops and clubs — often have an “entrance area”, using clever occlusion mechanisms to provide new visitors with important information, vendors, or advertising, while allowing the “main action” to happen a few metres behind that, where the 80-100 avatars dancing or shopping will not create too much lag on the teleport hub area). Overall, this “almost meaningless statistic” can, in fact, have some uses. The problem is when you use it to measure the impact of Second Life. Saying that “half a million people log in to Second Life every day, and 40,000 or more are logged in simultaneously on average” is not really much important. How many of those simply log in to crash, log again, crash again, and so on? How many have logged in and attended an event — as opposed to quickly checking and answering some IMs, dropping a few notecards, and going out again? How many are actually building or scripting something, but not really interacting socially and not moving out of a parcel? Or chatting for hours and hours? As you can see, just measuring “people online” is not saying much. What they do is far more important than how many they are. Sure, a 10-million-users Second Life with 50,000 users online looks and feels quite different than a 10,000-users-SL with 500 users online — that’s obvious! — but again, sheer size is mostly meaningless if you can’t have a rough idea of what all these people are doing. Let’s get back to Google. Everybody uses it, or almost everybody, since, according to Alexa, they’re not even the largest site in the Internet (Yahoo is, closely followed by MSN). Roughly 20-30% of the Internet population visits one of those three mega-sites regularly. However, its usage is quite different. When you’re doing a query in Google, you spend seconds, finding your link, and then going away as quickly as possible. However, when on Yahoo, people will most likely be reading articles, commenting on those, and generally spending minutes (and not seconds) looking around. In effect, while 20-30% of the Internet population might use Google every day — and Yahoo less — they will barely spend measurable time on Google’s search engine (just a few seconds each time you search for something), as opposed to Yahoo, which you might not visit every day, but when you do, it’s most often to read an article there. So the usage patterns are totally different. For marketeers this has a serious impact. It means that Yahoo (and, well, MSN…) effectively competes for consumer time, and that the Internet becomes a substitution product. Instead of watching TV, you read articles on the Web. Instead of opening a newspaper or a magazine, you look at blogs. Instead of walking around in the streets (and thus view signboards), you stay at home playing on your PlayStation. As our increasingly complex societies develop more sophisticated methods of spending your leisure time, and since time is a finite resource (I wish we could get more than 24 hours per day!! ), the consumer will make choices of where to spend some of their limited available time. If a non-negligible number of people are abandoning TV as their primary source of leisure, and look at websites instead, marketeers will need to consider those “alternative” sources as seriously as they consider the mass-market (of course, the considerate readers of this article all live in the 21st century, where this question has long been dealt with 🙂 A decade ago, however, this was not easy to figure out; and still today, marketing agencies using the Internet call themselves new media agencies, as opposed to the “traditional media”, the youngest of which, television, is over 70 years old). So when sponsoring a campaign that should target a specific profile, which includes the billion users of the Web, what sites should marketeers pick? The issue is as old as the World-Wide Web, and we know the answer: we have a set of metrics which are the only ones we can reasonably expect to have, but we have no way to really know how people are spending their time on their favourite sites. Traditional web analytics do not provide this level of detail. Thus, when launching a new campaign on the media, you might as well target popular blogs or YouTube (where people might spend a lot of their time), as well as one-second-attention-span sites (with hundreds of millions of visitors) like Google. Still, it means that the marketing company would indeed be missing the point with Google. Recently we have heard Linden Lab mostly ignoring the “usual” metrics of how many users are in Second Life, or how many are logged in simultaneously. Most took those comments as being primarily a way to “spin” numbers — “yes, we know, we lost a few users, but the existing ones are spending more time online, so that balances it out”. Why the sudden change in metrics? Some reporters took those comments at face value. Most of the SL residents assumed that LL feared to show a declining userbase as proof that something was seriously wrong. Speaking strictly for myself, I was skeptic at the beginning. That talk about “hours logged in” didn’t make any sense to me; I log in far less hours than I used, say, in 2004; but my personal commitment to SL has grown perhaps 10 times! I’m sure that Anshe Chung will say the same — she logs in seldom, but we all know how big her company is growing, and there is no sign that Anshe won’t increase her commitment further. But you can also take the average top content producer that requires hours and hours in front of Photoshop (designing textures and clothes) or hours in front of Poser 7 (doing animations) or even in front of a 3D modeling tool (doing sculpties!). They might, in fact, log in to SL just briefly to upload these assets, but there is no questioning that these are very committed people to SL — spending a large part of their time just doing things for SL. Or what about bloggers? Writing an article and doing research on it can take me 5 hours — 5 hours that I’m not logged in chatting to friends in SL — so certainly “number of hours spent in SL” is not really a good metric, is it? So it was time to research a bit about this strange metric. And the first thing to compare SL with was with YouTube. Why YouTube? “Everybody knows” it’s immensely popular. “Everybody knows” that 2 billion streams are served every month. “Everybody knows” that Google paid US$6.3 billion to buy it. So unless Google’s board has gone completely nuts, YouTube must be a huge success, mustn’t it? Searching about “facts” is quite hard for any popular Web 2.0 medium. “Everybody knows” that MySpace has 150 million registered accounts, since you can click on the owner’s profile, who is automatically your friend when you register, and see how many friends he has. PayPal claims on its front page that it has “over 100 million accounts”. But how many users does YouTube or Google have? And of those 2 billion stream served by YouTube, how many people were “active users” (and what does that mean in the context of YouTube)? But let’s keep using YouTube as an example, since recently they’ve announced that “nearly 132 million Americans viewed online streaming video in May“. A pretty impressive number, and it comes from comScore, a very reputable source of statistics. This roughly means that 3 out of 4 Americans watched, on average, 5 minutes of YouTube videos per day, or two and a half hours per month. It seems impressive, specially when considering the next top six video streaming sites, all placed together, have about a third of the global video streaming audience (as measured by unique streamers). You have noticed that suddenly the metrics changed completely for video streaming! Although YouTube is a “web site”, nobody is talking any more about how many registered users it has. Or how many are online at the same time. What seems to count is how many streams YouTube actually delivers, and, more important than that, how long are people watching YouTube videos these days! Nielsen Research has been actively researching this for a while now. Then it comes down to maths. Is Google making a huge profit from YouTube? Henry Blodget estimates that YouTube actually does not generate significant revenue for Google. Wow — only US$400,000/month as revenues?? 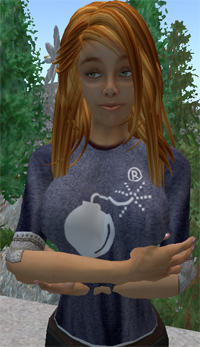 Linden Lab generates at least US$5 million from Second Life! Here is where things start to get very interesting: welcome to reality distortion as your mind suddenly goes fuzzy and you suddenly understand that YouTube, the Internet’s most popular and desired marketing media (to the point that it made whole corporations change their stance towards video streaming, and no ‘new media’ agency in the world can afford to ignore YouTube these days), is actually a “barely profitable” business! So why did Google pay US$6.3 billion for it? Definitely not to sell ads there. But let’s look at the numbers further. 132 million Americans watching YouTube videos sounds pretty amazing. What suddenly doesn’t feel very right is that, on average, they just watch 5 minutes per day, or 2.5 hours per month. And that’s an average. By contrast, our very loyal SL residents were online, on average, 2.82 hours per month in June. Oh, and if you just take the active accounts (since most of the 7.7 million accounts in June didn’t log in at all; only 494,981 logged in in June), this number is naturally far higher: about 44 hours, or over an hour and a half per day! So Second Life is by far more popular than YouTube (at least, for the people actively using Second Life)!? No way! You can imagine that the newspaper media has the same issue when supplying metrics to their advertisers. In fact, when they say they have printed a million newspapers, what does that mean? Will a million readers have seen the ads there? How long did they actually read that newspaper — minutes, just to browse here and there to watch the news they have an interest in, or actually hours, allowing the to watch each ad very carefully with their utmost attention? Where should you place your ads, on a newspaper that sells a million copies, but where, on average, everybody only takes 5 minutes to read it and drop it into the wastebasket, or go for a smaller paper with just hundred thousand readers, but where people, on average, will spend an hour and a half per day reading it? What works best for your ad? We have now to suddenly understand why Nielsen//NetRatings, another one of the most reputable statistics company in the world, is dropping the page view statistics entirely, and focusing only on time spent watching a site. Their claim is pretty simple. Megasites like Google Search, where people just spend a few seconds per page, are not meaningful — even if they generate billions of page views. YouTube is likely to make a dent into world-wide advertising if people, instead of watching a few hours of TV per day, are going to watch video streaming instead (as seen above, that’s still many years ahead). But YouTube certainly is far better than Google Search, and Google seems to have made a sound decision in acquiring YouTube just to make sure they still look good on the new way of measuring statistics. AJAX-based sites can also generate hundreds of page views, but what counts is what people are doing and for how long. Using these new metrics for a new age, sites like Wikipedia suddenly rose a lot on their rankings. MySpace, for instance, allegedly had their users logged on 45 minutes per day back in June 2006 (ie. half of what SL’s active users have). So suddenly everything has changed in the confusing world of web metrics and statistics. No wonder that the mediocre journalist, who basically has just worked out how their online newspaper actually generates some meager revenue from ads, is not only confused but doesn’t know what to report. Let’s take a simple example. I did some questioning around a few groups of very intelligent people and presented the following scenario. Suppose that a new virtual presence is launched in Second Life and someone is trying to measure its impact. They log in repeatedly, at different hours of the day, and watch, at most, 2-3 people in-world. A few hours later, another 2 or 3 people. Sometimes just 2. Sometimes, by a stroke of luck, even 5! During a huge chunk of the time, absolutely nobody. Here and there, with one event, perhaps a dozen, sometimes 20 people show up, just to fade to 2 or 3 again. Overall, after a month, the statistics are presented to the marketeer: on average, your sim only had 2-3 people online at a time. Is this a successful site or not? Except for one clever answer (“I have no idea, depends on what they were measuring”), the remaining people concluded that it was a very poor result indeed, and it was typical of what people are reporting all the time: virtual presences are mostly empty. However, having 2-3 visitors at a time, even if they just stay a minute and leave afterwards, means 150,000 unique visitors a month! Impressive, isn’t it? Is that much? Well, it depends on what your expectations are, and how big your market is. 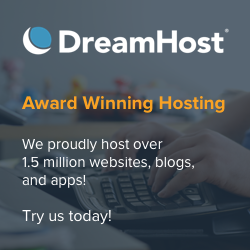 A software house with 30,000 customers would be very happy to get 150,000 visitors in a month! A bank with a few hundred thousand customers would certainly love to get 150,000 to finally watch some of their promotions online. A car being launched would certainly love to know that 150,000 people will remember the car’s name after having visited their in-world virtual presence – way more brand awareness than from a 30-second spot on TV! But you can go further. People coming in to Pontiac might spend not minutes watching their virtual presence, but hours, as they buy cars, go to races, and enjoy a rather good time spent in-world. They might not be the uncountable millions that see those spots on TV, but they are recurring visitors that spend hours, instead of TV zappers that might simply ignore your ad on TV automatically. Like when the Web started to become interesting as a marketing venue, because prospective customers would come to your site (if it had anything interesting to show, of course) and spend some time there, unlike the traditional media, where ads are basically something you have to endure between “content” (ie. articles on newspapers and magazines, shows on radio and TV). While users in 2003 spent 46% of their time online communicating, they now spend 47% of their time viewing content, according to the study. The share of time spent using e-mail or instant messaging tools has dropped 28% over the last four years, while the time spent on e-commerce activities is down 5% over the same period. Users spend about 5% of their time online searching for data. Or perhaps we have to adopt entirely different metrics for virtual worlds. For the clueless journalist, this means a lot of homework to catch up with the latest trends. Forget the sensationalistic reports based on meaningless metrics and silly “old age” statistics. The world has changed; the media agencies are spreading a completely new message; the marketeers all around the world are waking up to the new reality. In effect, when applying those new metrics to Second Life, we come to a very strange conclusion. While overall market penetration is low (only one in hundred Americans have logged in to Second Life, compared to a third of the US population having at least watched a video in YouTube), Second Life is by far more intensely used by its users than any other “popular site”. Depending on what is important for a company — getting an ad on a site that might barely just be noticed by millions of people; or catching the full attention of hundreds of thousands for several minutes or hours — Second Life might just be the marketeers’ paradise on Earth. The era of the “Page View” is now dead and even journalists have to adapt. Who knows, their editors might be catching up on reality, as their own marketing departments start to tell them that they shouldn’t write to get more page hits, but include content that actually make people spend some time reading it… or else, they won’t be able to pay journalists for their crappy articles. As a side note and a bit of trivia, my faithful readers spend, on average, 6 minutes and 34 seconds reading my blog articles. Thank you very much! That’s more than YouTube gets!